Home / Little Brother News / Where in South Australia? Trevor Peart from Adelaide is trying to track down South Australians who, like him, arrived in the country as teenage migrants between 1925 and 1983 as part of the “Big Brother Movement” youth migration scheme. One of these “Little Brothers”, as they were known, is Geoff Eastwood, who arrived in 1959 aged 18. “I have never for a minute regretted my decision to join the Big Brother Movement”, he says. The apprentice fitter and turner worked on farms near Sydney and in rural Australia, became a pilot, then a cattle farmer and, after a period of living on a government pension, now owns the Goolwa Airport and four planes. “Geoff’s story is absolutely fascinating, and each of those young lads who came out here as teenagers have their own incredible tales to share. We are organising a reunion for Little Brothers in South Australia to reconnect and share our stories,” says Little Brother Trevor Peart, who himself arrived in 1966. BBM Youth Support CEO Melanie Stray said the scheme brought out more than 12,000 young men between the ages of 16 and 21 from the UK. 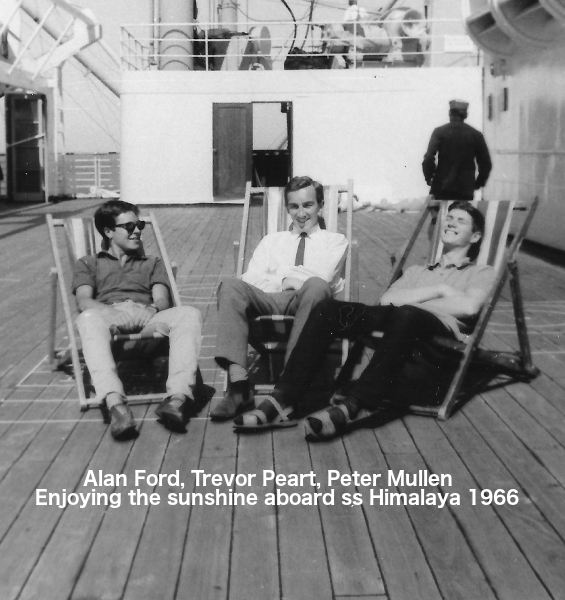 We have photographs and personal records of many of these young lads, and while each person’s experience is different, for many it was the adventure of a lifetime. They applied for the scheme to work in Australia, long before modern media brought the most remote corners of the world into your lounge room. Back in the 30s, 40s and 50s Australia was the great unknown. These boys boarded a ship in London and spent the six weeks at sea with a group of other teenagers before landing in Australia and experiencing a completely foreign land. 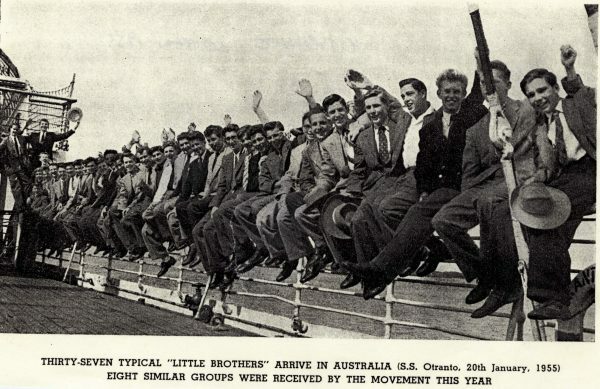 The Big Brother Movement still holds the record cards of over 9,000 Little Brothers who settled in Australia, but only a few hundred have been reconnected so far. “When these young men first arrived, they received training in agriculture and were placed on farms and later with other trades and industries across the country. We actively encouraged them to settle as Australians and discouraged them to keep in touch. As a result, we have lost touch with almost all of them, and I think that is a great loss for the organisation as well as for the Little Brothers themselves”, Melanie says. “Since we started reaching out and tracking down we have been able to reconnect several hundred Little Brothers, and they are now organising their own reunions, reconnecting with others who came around the same time and, in some instances, with old ship mates not seen for 50 odd years”, she says. There have been reunions in Queensland, Western Australia, New South Wales and Victoria, and it is now South Australia’s turn to host a Little Brother reunion. There will be afternoon tea included in the event. Some Little Brothers will be staying on for dinner in the bistro (own expense) after the event and everyone is welcome to join them. If you have any questions, please contact Trevor Peart (Himalaya ’66) on 0404 636112.